Swimming pool. Steam room. Suna, jacuzzi. 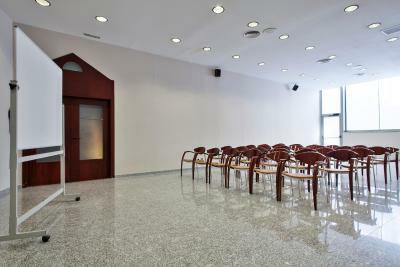 Location, all around shopping, restaurants, park, historical places, transportation. Like the area. The pool area was nice, but the water was a little strange. It was not that clear. Good location. There was a bathtub and lots of hot water. Free breakfast was quite generous. Very generous selection of free toiletries. Great value for the money - nice staff, parking, location, breakfast. Easy to go everywhere, near the bus stop L2 L3 L4. At the Andorra Center, near the bus stop going everywhere. good price for the value. overall great location and friendly staff. I booked this hotel because of the parking facilities, which I was not able to used, because they did not have availability so I have to go to a public parking lot a few blocks away. The room was amazing, just like the breakfast. Staff was great and the hotel is really well located. The hotel was spotless. 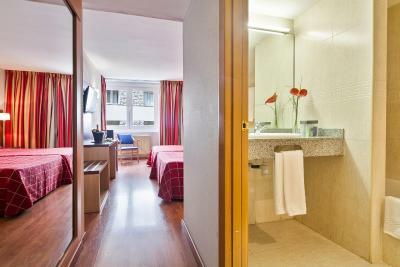 Close to bus station which takes you to Barcelona airport, seven minute walk! 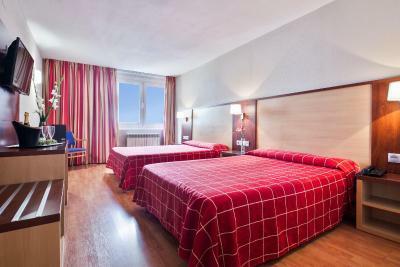 Hotel Best Andorra Center This rating is a reflection of how the property compares to the industry standard when it comes to price, facilities and services available. It's based on a self-evaluation by the property. Use this rating to help choose your stay! 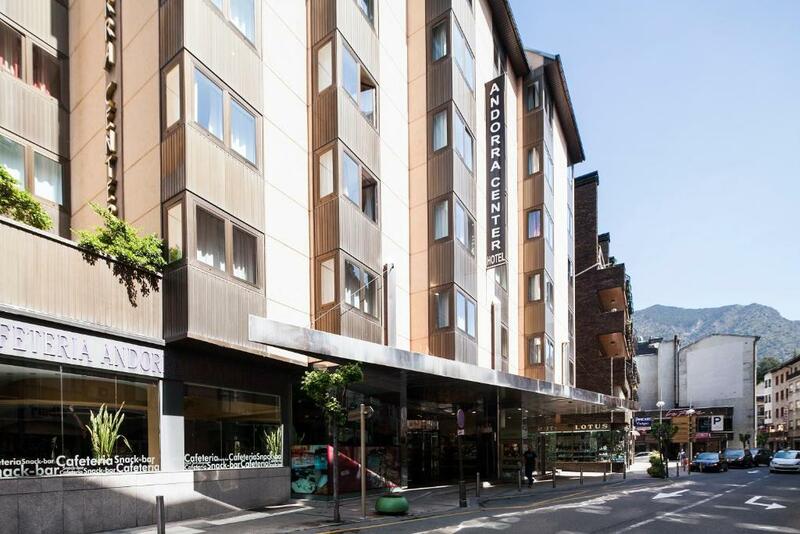 One of our top picks in Andorra la Vella.In central Andorra la Vella, Hotel Andorra Center has a terrace with mountain views. 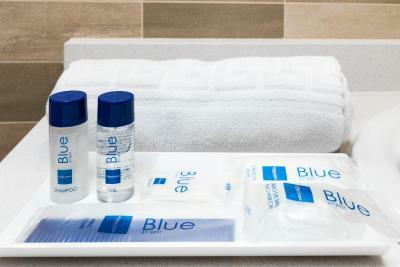 Guests receive free access to the hotel’s heated indoor pool, hot tub, gym and sauna. Hotel Andorra Center is in the town’s main shopping district, just 350 feet from Andorra la Vella Conference Center. Andorra Bus Station is a 10-minute walk from the hotel. Secure parking is available on site. Rooms at the Andorra Center have simple décor and hardwood floors. 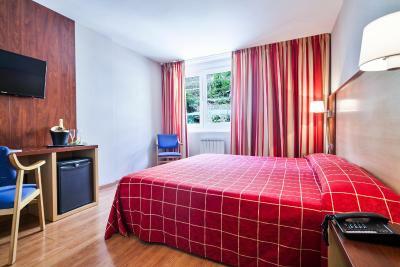 All rooms have central heating, satellite TV and a minibar. 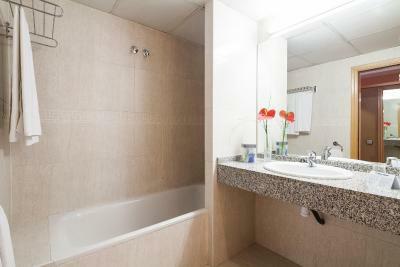 Bathrooms include a hairdryer and amenities. 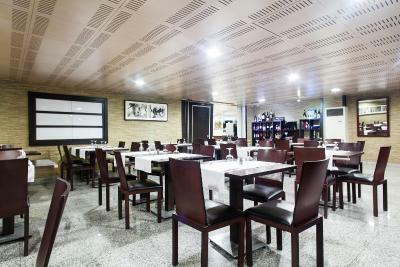 When would you like to stay at Hotel Best Andorra Center? This room features central heating and a private bathroom with a hairdryer. It includes satellite TV, free Wi-Fi and a minibar. This room features central heating and a private bathroom with a hairdryer. It has satellite TV, free Wi-Fi and a minibar. This room features central heating and a private bathroom with a hairdryer. It has satellite TV, free Wi-Fi and a minibar. Extra beds are not available in this room type. House Rules Hotel Best Andorra Center takes special requests – add in the next step! Hotel Best Andorra Center accepts these cards and reserves the right to temporarily hold an amount prior to arrival. Please note that the price for half-board and full-board includes water and soft drinks. Please note, the wheelchair accessible rooms are equipped with a bath. Please note that the parking cannot be reserved and is subject to availability upon arrival at the hotel. Spots are limited. Everything. From first step to last night. Wish to stay here again. Recommend to everybody. Nice view, perfect service, location, good breakfast, Spa, room. Feels like you are sleeping in the hallway, you can literally hear eveything going on outside your room. Good value room in large, well run hotel. Many facilities too. Great location. Very helpful staff and great value for money! We had a view of other people’s rooms and a bunch of air conditioners. The people were not that nice in general. However the woman who checked us in was very nice. Kids only could use the pool till 8. It was not the cleanest. Too expectations liked the price I paid. Too expensive (420€/2 nights... madness). The food: poor, disgusting and no healthy at all. Garage: too small (and expensive) for a normal car. Broken shower, bad hairdryer (stopped working after 1 minute), outdated deco and no curtains. the breakfast was good and staff were friendly. Hotel very popular with Russian tour groups. Female reception staff would not be out of place in an old USSR state run hotel. Great lifts - never had to wait too long. Biggest bed - super king size - and very comfortable. Room had all usual amenities. Shower holder was broken on arrival but fixed immediately on reporting this to reception. Plenty of hot water. Half board available if you book directly with hotel. Great location near bus station and on edge of historic centre. Reception desk staff were just so-so. I asked her to call a taxi. She tried but got no answer - at 8 AM. Told me to wait outside for 10 minutes - in cold weather. Also there was no one at reception at 3 AM - don't ask - and there was a large bunch of keys lying on the desk - not room keys. The toilet's a little bit dirty and the water got got out on our last day, last hour of stay. Plus, aquatic spa isn't working all the time the spa is open. I like that the workers are professional, patient and helpful. They are all well mannered and kind. I like the beds too. Buffet is perfect! Like the best meal I had in the country of Andorra.